"...mum, can we buy a baby sister from the shop please?" My 3 year old has a bee in her bonnet at the moment about having a younger sister. I'm not sure why it's suddenly become so important, but it's all she seems to talk about these days. The other day, she asked for a sister again. I don't recall what I said, but her response was "mum, can we buy a baby sister from the shop please? I guess it made perfect sense to her 3 year old mind. Need something? Go to the shops and buy it! Her question came back to me, after I read about question frameworks for coaches. The idea is that having a question framework, helps coaches, particularly less experienced coaches to come up with powerful questions. 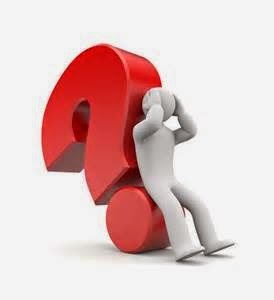 A powerful question is one that facilitates greater learning and breakthrough in a client. To my mind, a question framework is one of those things that sound good in theory- like chocolate coated pretzels, but aren't so great in reality- chocolate coated pretzels! My first reason for saying this is that having a pre-prepared question framework could stifle the coaching interaction. In the article, it was used to facilitate a group coaching session and seemed to work well. My point is that if you have a question framework, the danger is, that you quickly come to rely on it, to the extent that it becomes a kind of a crutch. When is a diet, not a diet? When it's called a healthy eating plan! Julie Starr has a really helpful model for developing and firming up a client's goal. When I was first starting out, I used it as a question framework, but I quickly realised that I was relying on the framework more than listening to the client and became very anxious, if it didn't elicit the answers I thought it should or would. My second point follows on from this. If you begin to rely on a framework or model, it could hinder the development of one of the essential skills of a coach. In the hands of a less experienced individual it might quickly become a situation, where they lose the opportunity to develop their questioning skills. We all love those powerful questions, which produce an 'aha' moment for the client, but that should never be the overriding aim of a coaching session. And that's because, sometimes the beauty of the coaching process is the culmination of a series of seemingly innocuous questions, that lead to a breakthrough over time. Some people are able to handle a big 'aha' moment. Others might prefer the gentleness of a gradual realisation of their situation and the changes that need to be made. In the end, it comes down to the person who is using the tool. Personally, I prefer a more organic approach to questioning, but that's just my preference. Every coach is different and the most important thing, is that as coaches, we help our clients achieve what they set out to. I'd love to hear your comments on question frameworks. Do you use them? How do you use them? How have they worked for you? Please leave me a comment or give me a call on +234 706 335 0864, so we can continue the conversation. 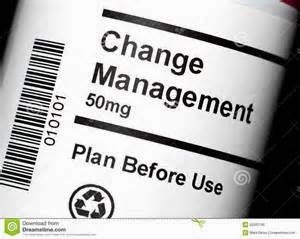 When I was doing my masters degree, one of my favourite courses was change management. I found the change theories fascinating. I think it appealed to my inner helper. I thought if I could just apply the right theory, I could produce the necessary change and we'd all be happy campers. I had a very rude awakening, when I realised that all the theories is the world can't help you if you don't understand why a person can't or won't change. 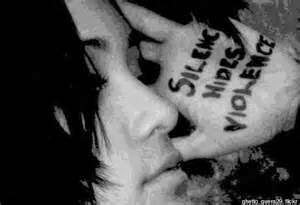 My chosen field is working with women who are/have experienced violence in their personal relationships. As rewarding as that work can be, it can also be immensely frustrating. It often feels like one step forward and two steps back. It's not just frustrating for those who work with the abused women themselves, it's also frustrating for their friends and family. They see them remain in or go back to an abusive situation over and over again and they wonder why. The truth is, unless you understand the motivation behind someone's resistance to change, you will find it very frustrating. So frustrating that sometimes, you step back and disengage from them, which is the last thing a victim needs. This week, I want to talk about 3 reasons why we don't see more change in abusive relationships and why we need to be a lot more patient and understanding. If you could get your own way, all the time in a relationship, would you have any incentive to change? If you're anything like me, I'm guessing the answer is a big fat no! Some people don't change simply because they don't want to. There's no incentive for them to, because everything is working out for them, just fine. I know some people might find that hard to hear, but it's the truth. You might feel that if they really cared for you, they would change. Unfortunately, that's a triumph of hope over reality. If I'm not required to, I'm not going to change- no matter how much you want me to. The abuser in a violent relationship has no incentive to change. They are getting exactly what they want, when they want and how they want, by using abusive behaviour. They are in a relationship on their terms, where they hold all the power and wield all the control. Why would they change? It's a winning situation for them. Another reason people don't change is because they don't know how to. Looking from the outside, we may feel that change is a 'no brainer' in an abusive relationship. We think why doesn't she just leave? My point is that it's easy to assume that everyone knows what we know, but that's simply not the case. Imagine that you have been the victim of abuse for a very long time. Your self confidence, your self esteem and your self worth have been destroyed. Now add to that, the fact that you have married someone from outside your culture and you are living in a foreign country, where you aren't familiar with how things work. You don't have a strong support network of friends or family. Why would we assume that this person knows 'how to leave'? What resources do they have, to begin to think about changing their situation? My last reason is linked to the one above. Sometimes, people don't change because they don't feel able to. When I'm training people on the dynamics of domestic abuse, I sometimes ask 2 questions: "has anyone here, smoked and tried to give up?" And "has anyone here, ever tried dieting to lose weight?" I then ask how many times, people have tried to give up smoking and how many times they have been on a diet? From my experience, people have generally tried to give up smoking/dieted quite a few times. The reason they had to do it more than once, was because they were unsuccessful the first time. The trouble with having to do something more than once is that it can leave you feeling, "I can't do this, so I'm just going to give up now". Think now, about the victim of domestic violence who has tried to leave several times, unsuccessfully. It might have been because of pressure from family and friends that she returned to the abusive relationship. It might have been because she wasn't able to support herself and her children financially. It might even have been because she still loves the perpetrator and hasn't been able to break that emotional tie yet. Whatever the reason, the end result is the same- she's not able to make the change she needs to. I hope that this week's post has given you some insight, if you are struggling to understand the behaviour of a person staying in an abusive relationship. The question is, what can you do to help them begin to change? If you know someone is an abuser, sometimes the most you can do, is hold them accountable. What do I mean by that? I mean challenge them on the abusive behaviour. Call it what it is and don't make excuses for it. Abusers need to understand that there are people who will hold them to account for their behaviour. But before you do that, you need to be clear in your own mind, that it is abuse and there is no excuse for it. Otherwise, all that happens is that you give the abuser a loophole to wriggle out of and nothing changes. If you are a friend or family member of a person experiencing abuse, what she needs most is a non-judgmental, listening ear. After that she needs information, because as I said, you can't assume, she knows what to do. Finally, she needs practical support. Can you help her find a job? loan her some money? babysit her kids, whilst she goes for interviews? Whatever practical help she needs is good. Have you been affected by anything in this post? Would you like to speak to someone in confidence about abuse? Contact us on +234 706 335 0864 or through the website for a free, 30 minute consultation. I heard someone talking about Father's Day last week and he said "everyone celebrates Mother's Day, but Father's Day isn't such a big deal. We all laughed a bit, but then I started to think about it, when I was wondering what to write about this week. From my observations, it seems like men's roles in their children's life has been reduced to that of an ATM! I know that there are some men, who aren't too bothered by that, preferring to leave child rearing to their partners. However, for a lot of men, they want to be more than a cash dispenser and play an active role in their children's lives. This week, I want to talk to all the good dad's out there, who want to be even better. Living in a developing nation, there's always a lot of talk about transformation. Transformation on a personal and national level. There's also a lot of talk about how you can't have personal transformation, without the right character (and I agree) . A good dad, tells his children that a good reputation, based on a good character is priceless. A great dad, goes a step further though and models integrity, honesty and faithfulness, on the job, to his wife and his children- no matter the circumstances. Real character isn't situational. It doesn't depend on who is or isn't looking. It doesn't say one thing and do another. Real character sets a high standard and adheres to it, even when it would be easier to cheat. A good dad tells his children that real men don't hurt others. A great dad demonstrates this by using his strength and power to protect those he loves, rather than harming them through abuse. In 90% of domestic violence incidents, the children are either in the same room or the next and many children are also victims of the violence inflicted on their mother. Whether it's as a result of trying to stop the violence or being attacked themselves, the fact is, they are victims of violence. A great dad provides the right role model for his sons to emulate and a great example for his daughters to look for in a partner. Finally, a good dad, makes financial provision for his children. A great dad understands that when we don't know the purpose of a thing, we are likely to abuse it. He also knows that what is not worked for, is often not valued. I've heard it said that Bill and Melinda Gates will not leave a substantial inheritance for their children. At first, that sounds a little harsh. When you think about it though, it starts to make a lot of sense. Working hard, to make something of one's self is not a punishment. Contrary to some people's beliefs, hard work in and of itself never killed anyone. Working can give us a sense of purpose, direction and discipline. How many children of rich people, do we hear about every day, being lost to substance abuse, for example? Being rich is not the only reason, people develop a substance abuse problem, but when you can afford to indulge your every whim, without needing to work, it can certainly contribute to you falling harder and faster than the average person. I celebrate all you dad's out there, doing a good job. Whether you're a divorced dad, a widower, a single dad or a dad in a committed relationship, the most important thing is that you show up in your children's lives every single day. More than your financial resources, children need your love, your encouragement and your belief in them, to ground them and give them the best start in life. Not sure what kind of a dad your kids would say you are? Want to do better? The good news is, as long as you're not dead, you have the chance to start over, right now. As we approach Father's Day, make a commitment to yourself, to do even better this year as a father. With all the furore surrounding the Kimye wedding two weekends ago (that's Kim Kardashian and Kanye West, to those of you slacking on your trivia knowledge), you could be forgiven for thinking it was the event of the century (for some, I guess it was). It was one of those spectacles that make you think about how the rich and privileged seem to live a very different life, to the rest of us mere mortals. As we celebrated children's day, in Nigeria on the 27 May, I thought about how the concept of 'privilege' is relative. I watched some of the events that marked the day and reflected on the challenges being faced by so many children in the world in 2014. Not being able to go to school, poverty, childhood mortality and early marriage, just to name a few. It occurred to me that compared to a lot of children, my daughter is privileged. Not in the sense of having loads of money, but in terms of the life chances she has had and continues to have. At nearly 4, she has access to resources that will bring certain life chances her way and will also provide her with the opportunity to take full advantage of those chances. This week, as the girls abducted from Chibok, remain captive, I reflect on three issues that affect the life chances of children in Nigeria and ponder how, individually and collectively, we can make a difference. According to the latest statistics from Unicef, there are still about 57 million out of school children in the world. Although, Nigeria has relatively high numbers of children enrolled in primary and secondary school, those figures don't tell the whole story. For example, they don't reveal the number of children who drop out of school, before completing their education. Poverty is a huge cause of children dropping out of school. Basic education may be free, but there are still uniforms to be bought, the cost of materials needed for school and for some families, a child in school, represents a resource who could be working and contributing to the family income. They don't reveal the quality of the education the children receive. Poor literacy and numeracy skills are evident in our society and point to a deficiency that isn't revealed by the seemingly good statistics on enrollment. Education is a basic right for every child and all of us have a part to play in ensuring that all children receive an education. The abduction of the schoolgirls in Chibok, represents an assault on that basic right and life chances of all those young women, who were simply seeking to exercise that right. My next point relates to the under five mortality rate. According to the same Unicef research, Nigeria has the 9th highest under five mortality rate. This is one time, when you really don't want to be in the top 10! Some of the causes of this are glaringly obvious as you travel around Lagos. Open gutters, filled with filthy water, poor sanitation, massively overcrowded living conditions, poverty, low levels of immunisation against common childhood diseases and malnutrition are just some of the possible reasons for this. Whatever the reason though, this is is an unacceptably high number and represents individual lives that have not had the chance to reach their full potential. Finally, there is the challenge of children being trafficked for domestic and/or sexual slavery. The issue of young children being hired out as domestic help is still a serious concern. Apart from the fact that these are children who should be receiving an education, there are the other issues that come with this type of exploitation. The risk of serious physical and/or sexual harm. The fact is that their exploitation is largely for the benefit of others and they are subsequently unable to reach their full potential in life. Concerning sexual exploitation/slavery, I doubt that there was anyone unaffected by the threat of the Boko Haram leader to traffic the abducted girls and force them into marriage. However, abduction is not the only risk factor for sexual exploitation/slavery. Early and forced marriage affect the lives of too many young girls. They are neither physically nor emotionally ready for marriage and particularly when they do not 'consent' to the marriage in the first place. It's great to have an international children's day, but in reality, every day should be children's day. Every day, should be a day, where we do our part to uphold the fundamental rights of the children in our homes, our communities and our country. What can you do? What will you do to uphold the rights of our children? Leave me a comment with your suggestions.